The incorporation of Indian music into jazz is something I am often skeptical of. Although it is certainly not a new phenomenon on the British scene, dating back to the 1960s work of the British avant-garde such as Jamaican born saxophonist Joe Harriott, in recent years I feel it has sometimes been too easy to add some odd time signatures and a tabla player to a record and call the music 'indo-jazz'. 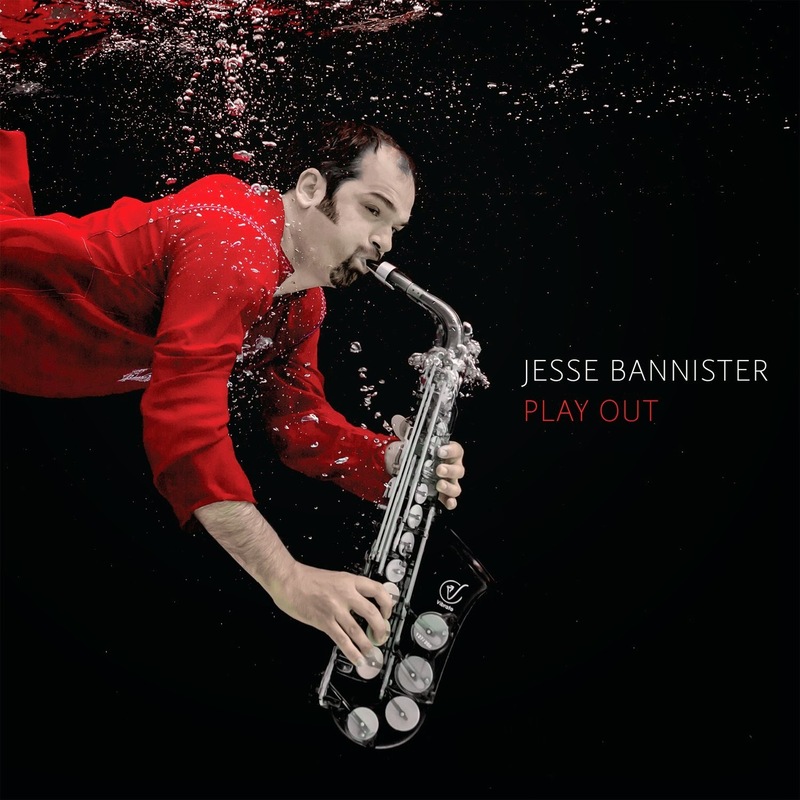 This is not the case with 'Play Out', the new album from alto saxophonist Jesse Bannister. Jesse's deep understanding of and respect for the traditions of Indian classical music run deep through the album, and the music is delivered with such skill and taste that there is not the slightest hint of gimmickry to the indo-jazz fusion presented here. 'Play Out' makes it clear why Jesse has earned the reputation of being the UK's leading Indian/Indo-Jazz saxophonist. Jesse's playing is expressive and emotionally charged throughout, both in his fiery, tenacious soloing on tunes such as 'The Pearl' and 'Com Tensauo' and in more delicate moments, like his playing on the beautiful 'Quixotic'. His strong tone, ferocious technique and phenomenal rhythmic understanding are shown to their full across the record, but never in such a way that it distracts from the music itself. Much like his playing, Jesse's compositions display a wide pallette of colours and emotions, are strongly melodic and filled with engaging twists and turns whilst still maintaining strong structure throughout. The tunes draw heavily from contemporary jazz as well as Indian music, but also contain shards of reggae, funk and soul. Despite this diversity of influences, the album feels like a complete, coherent statement and the tunes are performed beautifully by Jesse's all-star band. Zoe Rahman shines throughout, serving the music beautifully both as a soloist and in an accompanying role. She builds a luscious pallatte of sound on the intro to 'Cojeste', which later shows her flawless technique as she and Jesse weave an intricate melody in tandem. 'Com Tensauo' shows the full breadth of her playing, from her brooding solo introduction through to the peak of her stunning, McCoy Tyner-esque solo. The eternally versatile Seb Rochford sounds as at home on this record as ever, fitting into the ensemble seamlessly but simultaneously remaining completely recognizable. His playing sounds somewhat restrained here at times, but there are moments of real fire and some of the grooves are so tight that he and bassist Kenny Higgins could be joined at the hip. Their playing is tight but fluid and a great example of playing odd time signatures in a way that feels natural and loose. One downside to the record is a lack of attention given to Rochford and Higgins; their introduction to 'Kennergy' is one of the highlights of the record but there are few other moments where either of these musicians are given the spotlight.